1- Until the start of Ling Tong's next turn, all damage done to or by him is increased by one. 2- Until the start of Ling Tong's next turn, all damage done to or by him is reduced by one. When Ling Tong decides, the effect lasts until the start of his next turn. During other player's turns, the amplified damage can work against him. 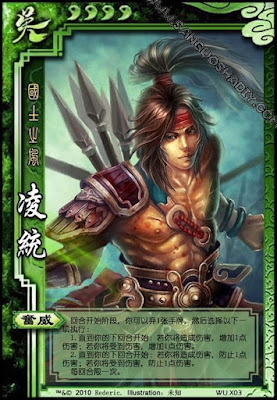 Ling Tong does not have to exerciese "Courage" he can remain neutral until the time is right.